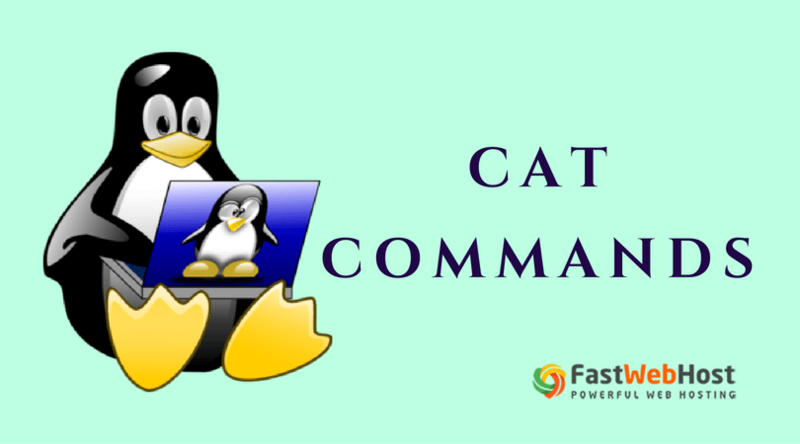 The cat (short for “concatenate“) commands is one of the most frequently used command in Linux/Unix like operating systems. cat command allows us to create single or multiple files, view contain of file.. In this article, we will discuss about cat commands in detail. The cat commands allow you to view content of a file on the standard output (stdout). Check this with the below command. With cat commands we can also check contents of multiple files in one go. Check this with the below command. Also you can display contents of a file preceding with line numbers. This can be done by using the tool’s -n command line option. If you want, you can also create a new file, and fill it with information using a single cat command. Check the below command to know how to execute this. When run, the command requires you to enter the information on the terminal. Once you're done, just press CTRL+d. You can also use cat to copy the contents of one file to another file. This can be done in the following way. If you want, you can also make cat highlight the end of lines. The tool does this by displaying $ at the end of each line. This feature can be accessed using the tool’s -E command line option. If you want, you can also make the cat command suppress repeated empty lines in output. This can be done by using the -s command line option. The cat command also allows you to display tab characters as ^I. This can be done by using the tool’s -T command line option. If you want, you can also make the cat command display content in reverse order. This can be done using the tac command line option. In case, you need to use the -E and -T option together, then instead of writing -ET in the command, you can just use the -A command line option. We've covered most of the cat commands here, so practicing them should give you a pretty good idea about this command. You can also check our basic commands from the below links.